Let it pour, oh let it pour. As God gives life to the earth that is dead, He surely gives life to hearts that are dead. Oh let it pour. Hearts that seek the balance between fear and hope must see that these words are too weak for the reality of their meanings. Perhaps the language of articulation is the deficiency. Fear does not describe the state in which one anticipates receiving the wrath of God, nor is hope strong enough to describe the supreme authority by which God commands His creation. Hope contains too much doubt in affirming God's transcendence and mercy. It almost belittles a good opinion of His greatness. But there are no words in English that match these depths, at least not from my perspective or minimal knowledge. However, one word from which to draw clarity is justice. Justice will prevail. God does not wrong souls, but souls earn their conditions. And we depend, in our entirety and without an alternative, on His mercy and His supreme will and power. Let it pour, oh let it pour. The earth is grieving the loss of light and there is nothing that can ease her pain. Light and darkness are not and must not be considered the same. How then can one who knows be the same as one who does not know? How then can servitude be likened to heedlessness and disobedience? Like parallel lines, they will never cross. As we survey our lives, deciding where to go and how to get there, we must pause and soak in the rain. Oh let it pour. It is not altogether relevant where we want to go, but it is critical that we recognize the reasons why we want to go there. As days pass, one enveloped into the next, what do we have to hold onto? What do we need to hold onto? Oh let it pour. 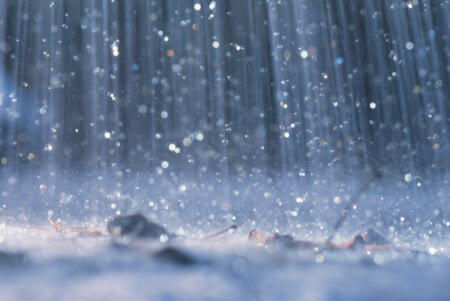 By the permission, generosity, and grace of Allah, let it pour. Behold! In the creation of the heavens and the earth; in the alternation of the Night and the Day; in the sailing of the ships through the Ocean for the profit of mankind; in the rain which Allah sends down from the skies, and the life which He gives therewith to an earth that is dead; in the beasts of all kinds that He scatters through the earth; in the change of the winds, and the clouds which they trail like their slaves between the sky and the earth;― (here) indeed are signs for a people that are wise. 2:164 - English "translation" of the Quran.